Goblin Slayer is back to doing what he does best. You know, slaying goblins? The other Adventurers heard the tale of Hero who saved a human sacrifice, but Goblin Slayer said none of that mattered because it was time to slay goblins. High Elf and her usual party joined him. The quest giver was the beautiful Sword Maiden, who slayed the resurrected Demon Lord and is now the Archbishop of the Church of Law. 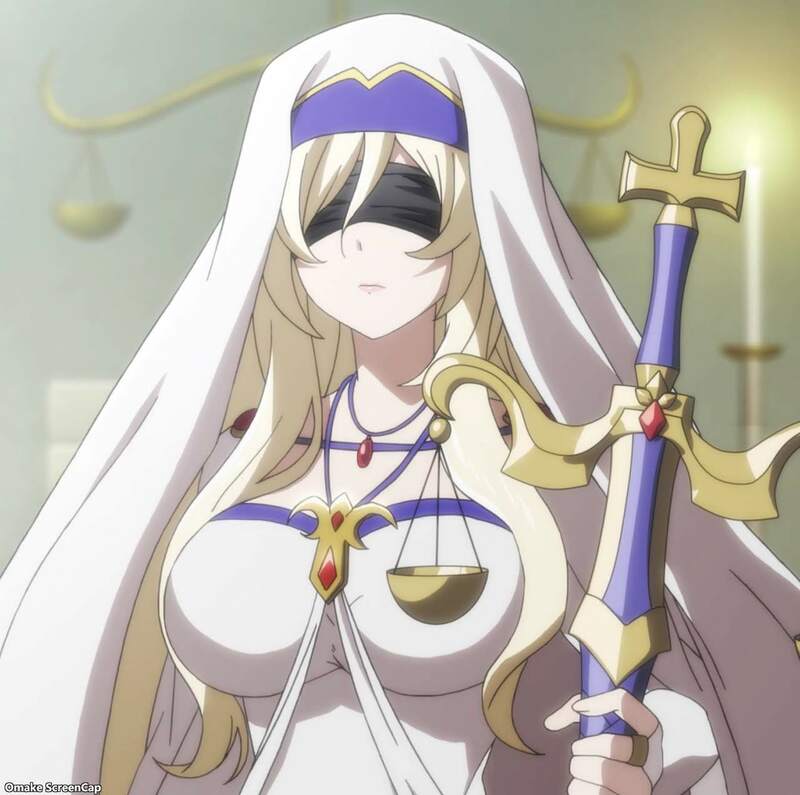 I think she can see through that blindfold, but it is supposed to evoke the imagery of "justice is blind."